The cost of tuition is constantly rising in the United States and students often need additional help to cover the cost of tuition, books and other fees. Grants and scholarships are a way for students and parents to offset some of the costs associated with obtaining a college degree. Scholarships are generally awarded to students that qualify based on academic or athletic achievement. Grants are monies that are set aside and awarded to students based on specific financial need guidelines. Each grant program has different requirements. No grant requires the student repay regardless of whether the grant is a federal, state or local grant. Grant monies awarded are dispersed each semester, quarter or trimester, depending on your school. The student’s school will credit their account or issue the student a check for the amount of the grant awarded. Students must be a full-time undergraduate without a professional degree or they must be enrolled in a post-baccalaureate teaching certification program to be eligible for a Pell Grant. The maximum benefit is $5,550 per year. Pell Grant recipients with the direst financial need will first qualify for the FSEOG. The maximum annual award ranges from $100 to $4,000. Students that meet the same requirements for the Academic Competitiveness Grant but are also enrolled in an eligible math or science degree program qualify for the SMART grant for up to two years. Students whose parent or guardian died in Iraq or Afghanistan after September 11, 2011 are eligible for an Iraq and Afghanistan Service Grant. Eligible students must be under 24 years old, enrolled part-time at the time of parent or guardian’s death and ineligible for the Federal Pell Grant due to less financial need. Students meeting these criteria will be awarded an amount equal to the maximum Pell Grant annual benefit for the same award year. The MGIB is available to any active-duty military person who enrolls and pays $100 per month for 12 months. Army Reserve personnel must be active and have fulfilled a six-year service commitment to be eligible for the education benefit. Veterans who served at least 36 months after September 10, 2001 and were honorably discharged for a service-related disability and served 30 continuous days after September 10, 2001 are eligible for full payment of tuition and fees to any public in-state college or up to $17,500 annually to any private college. Dependents eligible for Transfer Entitlement under the Post-9/11 GI Bill are also eligible. The TEACH Grant is the result of the College Cost Reduction and Access Act passed by Congress in 2007. Graduates that agree to teach students from low-income families for four years at an elementary school, secondary school or educational agency can receive grants up to $4,000 per year. Applicants must sign a TEACH Grant Agreement that specifies conditions of the grant program. If students do not complete their service agreement after graduation, all TEACH grant monies awarded are converted to a Federal Direct Unsubsidized Stafford Loan with interest charged from the date the money was dispersed. In addition, applicants for the TEACH Grant must also be enrolled in a TEACH-Grant-eligible program as determined by their school and score within the 75th percentile on admissions tests or maintain at least a 3.25GPA. After graduating, the four years of teaching services must be completed in a “high-need” field and progress must be documented with the Department of Education. High-need fields are language education (bilingual instruction, English and foreign language), mathematics, reading specialist, science, and special education. The NGIA is a renewable grant that ranges from $1,000 to $5,100. 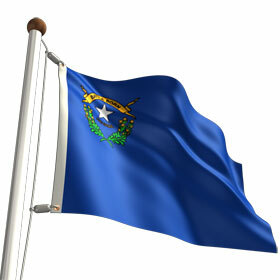 The grant is available to all Nevada resident students who maintain a minimum 2.3 GPA. High school seniors or undergraduate students planning to attend the University of Nevada, Las Vegas full-time that demonstrate a financial need are eligible. Students must maintain a 2.0 GPA to renew the grant. The Nevada State Access Grant is for Nevada residents and has a maximum award of $3,000 for graduate students and $2,500 for undergraduate students that meet the financial need requirements. The financial need is determined by the financial aid officer. The BIA offers grants to students in the form of loan reduction. This grant is available to high school seniors and undergraduate students of all majors that plan to attend the University of Nevada, Las Vegas. To qualify for a BIA grant, students must be a member of or be at least one-quarter degree Indian blood descendent of a member of an American Indian tribe. Eligible students must also be enrolled in an Associate of Arts or Bachelor’s degree program and demonstrate a financial need as determined by the financial aid officer. Students can find more information on how to qualify for this grant by visiting the Department of Interior’s Bureau of Indian Affairs website. The website includes information on how to trace American Indian heritage. LEAP is a federal program that awards grant money to states. Students then apply within their state for consideration. Funding is limited and awards of up to $5,000 are granted to Nevada residents that demonstrate a financial need. In addition to Federal and State grants that help students pay for college tuition, books and fees, Nevada also has a program called “GEAR UP.” GEAR UP stands for Gaining Early Awareness and Readiness for Undergraduate Programs. The program begins with 7th grade students that sign up for their 8th grade year. Money is set aside for GEAR UP member students to attend a Nevada State or Community college. The money is held in the child’s name at the Nevada State Treasurer’s office and is an amount equal to the cost of tuition and books for a four-year degree from a Nevada State university. The GEAR UP program is very successful in preparing young students for college both academically and financially. The Bob Davis Scholarship Grant is an annual grant in the amount of $1,000-$3,000 awarded to undergraduate and graduate students in any major that plan to attend the University of Nevada, Las Vegas. Eligible students must also demonstrate a financial need. The typical financial need is determined by a family contribution of less than $7,200. The Millennium Scholarship was created in 1999 by the Nevada Legislature for Nevada students that have maintained a 3.25 GPA in high school. 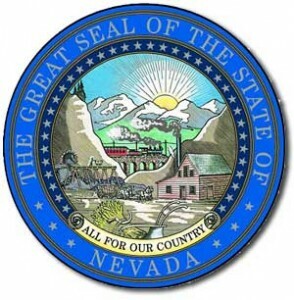 Students must be residents of the state of Nevada for at least two of their high school years and receive a diploma from a Nevada public or private high school. Students must also pass all areas of the Nevada High School Proficiency Exam. In addition, students graduating in 2009 or later must also complete the “core curriculum” defined by the Millennium Scholarship Board of Regents. The “core curriculum” for recent graduates includes four units of English, four units of math, three units of natural science, and three units social science and history. There is no application for this scholarship. School districts send the names of eligible students to the State Treasurer’s office. Students selected will receive an award packet from the State Treasurer’s Governor Guinn Millennium Scholarship office. Students then need to acknowledge receipt of the award online. Millennium Scholarship recipients must be enrolled at a Nevada System of Higher Education community college for at least six credit hours or 12 credit hours at any other eligible university. Students may be in pursuit of an associate’s degree, baccalaureate or post-baccalaureate degree. The scholarship has a maximum lifetime benefit of $10,000 and the scholarship can only be used within the first six years following the student’s high school graduation. Students are encouraged to perform 20 hours of volunteer service each year they receive the Millennium Scholarship although it is not required. Maintaining the scholarship requires a minimum GPA of 2.6 the first year and 2.75 for each subsequent semester. The Microsoft Licensing Community Scholarship was created in 2006 by the Community Committee and was established for low-income students that wish to pursue a degree in Business, Information Technology, Human Resources, Finance or Accounting. Students enrolling at Truckee Meadows Community College or the University of Nevada, Reno full-time that maintain a 3.0 GPA and demonstrate a financial need are eligible. Students must have also maintained a 3.0 GPA while in high school, demonstrated leadership through community activities and completed the required 500-word essay submission and nominee personal information form. The MGMA scholarship is available to students living in the western states of Alaska, Arizona, California, Colorado, Hawaii, Idaho, Montana, Nevada, New Mexico, Oregon, Utah, Washington, and Wyoming. Eligible students must be a MGMA Western Section member for at least two years. Applicants must submit a letter stating goals and objectives, a resume showing employment in the health care industry and three letters of recommendation. Awards are granted each year in the amount of $2,000. Roman Catholic students of Italian descent are eligible for this scholarship if they have maintained a 3.2 GPA in high school and live within the Roman Catholic Diocese of California, Nevada, Illinois or Arizona. An award amount of $400 is given directly to the student upon full-time enrollment to a university. The scholarship is renewable for $500 the sophomore year, $600 the junior year and $1,000 the senior year. Students of Korean decent are eligible for the KASF scholarship each year. Each student must submit an application and recipients are determined based on academic achievements, school and community activities, and financial need. There are three WICHE Student Exchange Programs: the Western Undergraduate Exchange, the Professional Student Exchange Program, and the Western Regional Graduate Program. The program allows students to attend an out-of-state college at a reduced tuition rate. There are 15 states that participate in the WICHE program. Nevada has been part of the WICHE program since 1959 and has allowed Nevada students to save an estimated $13,700 since 1988. In addition to Federal and State grants and scholarships available, Nevada also has a Prepaid Tuition Program. This is an Internal Revenue Code 529 qualified tuition program. Families can lock in today’s tuition rates for children to go to college in the future. The plan offers a variety of payment options including a five-year plan of 60 equal payments, a monthly payment plan made each month until the child starts college or pay in full. The plan is fully transferable to public out-of-state colleges and can be transferred to another family member. Contact the Nevada Prepaid Tuition Office for further details at 888-477-2667 (toll-free). I would like to apply for the Governor Guinn Millennium Scholarship. I would like to know more details on how to do so.